T5E brings back its annual Manifesto Review series! Here, we review the tenures of IITM’s Executive Wing (consisting of 10 posts) as well as that of the SAC Speaker, for the year 2015-16. This is the sixth article in the series, where we review the tenure of the Academic Affairs Secretary for the 2015-16, Sashank Vadrangi. The Academic Affairs Secretary is the student representative for all placement and academic related matters. One of his/her major roles is planning and overseeing the internship and placement process, an arduous challenge which involves curating and disseminating preparation material for placement, cold-calling companies to convincing them to consider IIT-M for placements and maintaining relationships with the regular recruiters, apart from handling the operations as placements begin in December. This entire process sees a lot of participation from the administration because of the crucial and delicate nature of the work. The Academic Affairs Secretary is also responsible for reviewing various academic related activities in each department through a team of Branch Councillors. He/She is expected to interface with the Academic Board of Advisors to brainstorm and suggest viable changes in the curriculum, improve processes like TCF, course review and selection by changing and forming new policies. 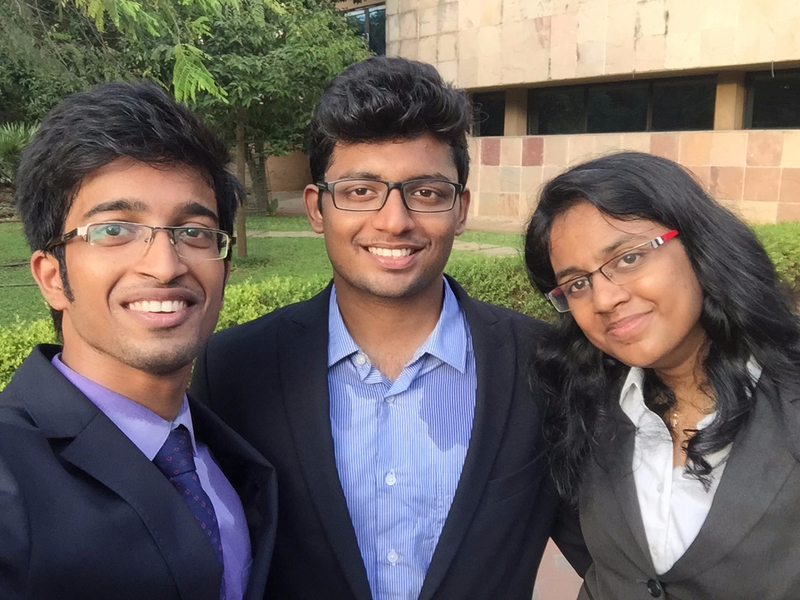 After four hours of interview spread across a couple of sessions, the author captured the magnitude of change and work undertaken by the Academic Affairs Secretary of 2015-16 academic year, Sashank Vadrangi, a position to which he was elected unopposed in the General Body Elections held in April 2015. He had been a part of the IPR team as a coordinator, and then as core member before taking up this position. Moving on to the manifesto points and their completion rate, Sashank managed to complete an impressive 53.57% of his proposed points. There is just one task which is on-going because of the nature of the work involved, and 10 other tasks which have not been completed, which amount to 35.71% of the review points. To streamline the placement process and make it a comfortable affair for all the stakeholders. The institution of ‘Placement team’ is the stakeholder which benefitted in the most direct and visible manner. Placement team position is now being considered a viable option of POR by second years too, where earlier it would mostly only attract self-motivated individuals. Number and quality of applications have increased. Specific care was taken to design the learning experience of coordinators through mentorship and they had much more to do than simply cold calling. Teams had much better operational efficiency, and redundant work was reduced by the centralization or outsourcing (for example, organizing aptitude tests through Pariksha.com). To revive the academic council and take a proactive role in course reforms. The role of class representatives was formalised and given teeth These class representatives will be the operational agents for the above-stated responsibilities, and will be supervised/mentored by a team of 4-5 students who report to the Academic Affairs Secretary. Lack of applicants and floods marred the execution of this solution in this year. Hopefully, it should be easier to implement next year as the post of CR will be officially recognised. The Academic Affairs Secretary, along with the branch councillors, had half a dozen meetings with the Board of Academic Courses, in which they proposed various suggestions like increasing number of credits for life skills course, compulsory internship, increasing number of slots to accommodate courses in the afternoon, SEAT or Student Elective Allocation Tool and had detailed brainstorming sessions to iron out the intricacies in framing these policies. To revamp the placement policy of the institute with sufficient representation from students. A poll was taken through smail, where the GSB was asked to show their willingness to various proposals from the placement team. Only 280 students participated, and hence the administration felt that it was not a good enough representation of the 1400 odd students who had registered for placements. However, one policy regarding the ‘Dream Core Company’ is to be implemented, in which a student is eligible to sit for any one particular ‘dream company’ even after he/she gets placed. This point is also in the current AAS’s manifesto and is to be taken up next year. To include a column for basic fixed pay per month in the employer registration form. This was a fairly easy task and placement coordinators were well instructed about the due diligence required from their end to ensure proper communication. Provision for an “Alumni Interaction Session” in lieu of a Pre-Placement Talk for established recruiters. This happened for companies like Goldman Sachs, ITC, Oyo, Mckinsey and a few others, and these sessions were a bit more informal as compared to PPTs. But the idea was to resort to these sessions in the eventuality of the PPTs getting cancelled. On being asked about his views on the hectic schedule of students during the placement session and the PPTs draining a lot of time, Sashank says that students should apply to companies more selectively and need to spend at least that amount of time in order to know the company. PPTs seem to be important in the long run as they help the placement team maintain and improve relationships with the company and it gives an opportunity to branch councillors from other departments to try and convince the company to open the profile for their respective branches as well. Periodic tests on aptitude and coding on platforms such as HackerEarth and Cocubes shall be conducted. A Vending Machine and a Xerox machine shall be arranged during December. Companies shall be sent weekly reminders to schedule tests to prevent congestion. Extension Boards shall be arranged in CRC during tests. Placement Zone shall be Wi-Fi enabled to improve connectivity. Two-Slot system shall be implemented up to Day 3 to mitigate test congestion. Interview slotting shall be continued in later days as well. The platform for preparations and conducting competitions was different, but this practice was encouraged by respective branch councillors. Vending machine was provided near Bhadra during the placement session, however the placement advisor didn’t deem fit to invest in a photocopying machine as Gurunath vendor was quoting an exorbitant price for renting the machine. As stated earlier, communication with companies was streamlined and well managed. Administration didn’t allow extension boards and placement zone, fearing the safety of the instruments, and given the fact that students can get these facilities on their own without much ado. Two slot system was maintained for the first three days after placements resumed in January, and the branch councillors ensured that interview slotting was continued in later days as well. Companies shall be allowed to sign up via LinkedIn accounts. Companies shall be contacted in parallel for both placement and internships. Internship Registration Form to be arranged for companies during December. The functional extension to the portal which allowed the companies to sign up via LinkedIn accounts was not built. The other two points were ensured easily, again via effective communication. Startup Fair shall be organized in the even semester to augment our placement process wherein startups shall be invited to the institute to showcase their products and attend a networking session. Resumes could be submitted for full-time work opportunities and internships based on company requirement – treated as an off-campus offer. This was meant to expose the next batch of students to the work done by the upcoming startups, through a marathon PPT session. Startups had just hired in January, and it made little sense in inviting them again so early. Constructive involvement in the Department Consultative Committee meetings. Streamlining the course registration process. As discussed above, the structure has been formalised, and the team awaits fresh applications in the next semester for the post of class representatives for these responsibilities. Course review portal has already been implemented and CRs are expected to bring constructive subjectivity in the system to give more meaningful reviews for each course. For example, after the course is complete, the CRs shall put up the basic outline of the course, its objectives, what the students stand to gain from the course from the placement perspective, etc. He also added that such a platform can be clubbed with moodle, and can function better if it is student managed. The team would need to outsource the web-ops work to build and maintain such a platform, but it would be of great assistance to the student community. 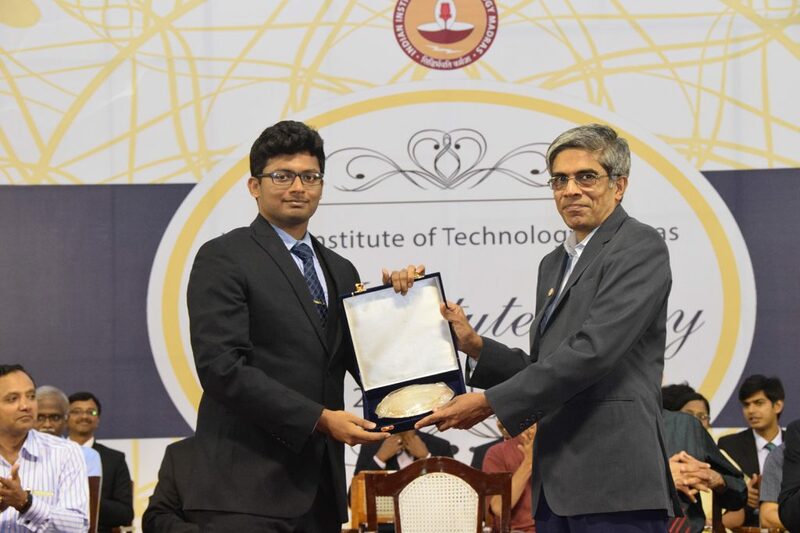 Introduction of an IITM specific entrepreneurship course (non-academic credit) to enable students to better utilize our ecosystem – details about our IP Cell, IITM RP and Alumni Support. E-Cell had started the Startup 101 workshop series in the odd semester, and hence, initiating another such course would have been redundant. E-Cell used professors and alumni from IITMIC to deliver these workshops, though the series should ideally have continued in the even semester and should have been more exhaustive. Implementing a clear course mapping framework to promote “Semester Exchange”. The process has been simplified on the academics website, with a better interface to map the courses at the two universities. Proposal for an Inter-IIT exchange program in conjunction with other IITs. Dean of Academic Affairs maintains that it is possible to go for such an exchange program, though hardly anyone knows anything about it. This has not been taken up by any of the IITs, though the new IITs are enthusiastic to offer their students a chance to study at the older IITs. Proposal for including a descriptive section in the Teacher’s Course Feedback form. This process now happens online, and a section was easily added to collect subjective feedback for the course and faculty. To structure the internship cell along the lines of the placement cell and improve efficiency. Internship fundae sessions shall be conducted across departments in their fourth semesters. Placement team structure was extended to the internship team and as before, redundant tasks were centralized and streamlined. They also started using the same portal for internship process and work allocation was better. Internship bluebook to be created along the lines of the placement bluebook. Feedback has been collected from students and it is currently being compiled in the form of a bluebook before the beginning of next academic calendar. A team shall be initiated to reach out to universities, in coordination with IAR, to create a compendium of projects and their funding status. In a meeting with IAR secretary, it was concluded that this idea was not feasible operationally as professors would not be willing to share all the details and the task would be too cumbersome to add to the already stretched schedule of coordinators. A facility shall be arranged for students to take Skype interviews. Students can easily arrange for this using their own laptops, and hence, this point was not followed up. To promote deferred placement as a viable option for students. A slew of students who wanted to try their hands at entrepreneurship and those who were single-minded about applying for further studies deferred placements, thus opening up opportunities for those who sat for placements. Embassies shall be approached to disseminate information about applying for work/higher studies and the commonly accepted procedure shall be documented and made available. Embassies do not entertain such counseling work usually, and it did not add any significant value to the information already available to students on the institute websites. To conduct awareness sessions on exchange programs and higher education in coordination with the IAR team. The career development team in IAR organised such sessions (one for each department), though feedback regarding these sessions is yet to be ascertained. We now discuss aspects of Sashank’s tenure that do not come under the points in his manifesto. The team had a very sensible approach towards tackling the floods in December 2015. Different stakeholders were segregated and their issues were tackled fairly to the physical and monetary capacity of the placement team. Companies were given a map of safe hotels to choose from, and extra rooms at hostels, TGH and BEGH were booked for contingency. Institute buses were deployed to help transport the HRs, until a bus broke down in flood waters and the driver dramatically refused to continue the service. Walkie talkies were brought in for the organising team, 10 high-speed internet access computers were set up for Skype calls and the team prepared for any case of power and network towers going down. Some BCs used SMS portals for mass communications with the students regarding the status of companies. In all the chaos that followed due to phones getting discharged and airport being shut down, companies tried to call to ask whether the placement process is still ongoing. Citing the possibility of an epidemic post floods, the placements were postponed by a month to January. Even after the hiatus, the team put in great efforts to smoothen the placement process and make it easier for the students. The placement season is always ridden with a multitude of emotions and branch councillors play a crucial role in helping the students through this roller coaster ride. There has also been a marked difference in the vision of IPR team and how it approaches its own work. It was tasked with handling non-core placements earlier but now has evolved into an interface for IIT Madras with the industry. It already handles a wide spectrum of industries, but now will act as a one-stop point of contact for them. Such a facility was not available earlier. The IPR team will invite companies to conduct events in a B2B manner. For example, many companies want to organize hackathons in the institute, and the IPR team shall reroute them to various organizations like department festivals and Shaastra, or keep it under the purview of placement team based on the perceived value of the event. This would help in decluttering the calendar and also allow IPR to act as the focal point of all communication with outside companies. On being asked if the placement team should become more risk-averse in the aftermath of Flipkart fiasco, Sashank pointed out that there was still a sizeable chunk of students that preferred to get placed at startups, after considering the risks and weighing in other factors. There were not enough profiles offered by core companies to absorb so many engineers passing out of IITs, and startups provide them flexibility and good exit options, factors which are highly rated by students since the last few years. That being said, the advisory board is still brainstorming on how to create a safety net for students, while trying not to scare the companies away by overly strict placement norms. Media reporting does make the startup scene sound gloomy, but it is not the norm across the industry. Startups like Ola are expanding quickly, and the team will be instructed to invite only those startups which have raised a decent amount of funding to be able to pay their recruits. Students should be agile once they enter the startup job and be on a constant look-out for jobs offering higher growth and more stability. Sashank managed a success ratio of nearly 54%, with around 4% of the promised points in his review undergoing completion, and about 36% of the points remaining incomplete. Thus, he has managed overall to implement close to 60% of his agenda items. He has brought in some long needed changes in the functioning of academic, internship and placement affairs, even though some promising initiatives were left incomplete. We wish him all the best and hope to see greater heights achieved by Saket Shiva, who Sashank passed the baton to as the next AAS, for the year 2016-17.